In the third event of the Stackpole Listen Live! 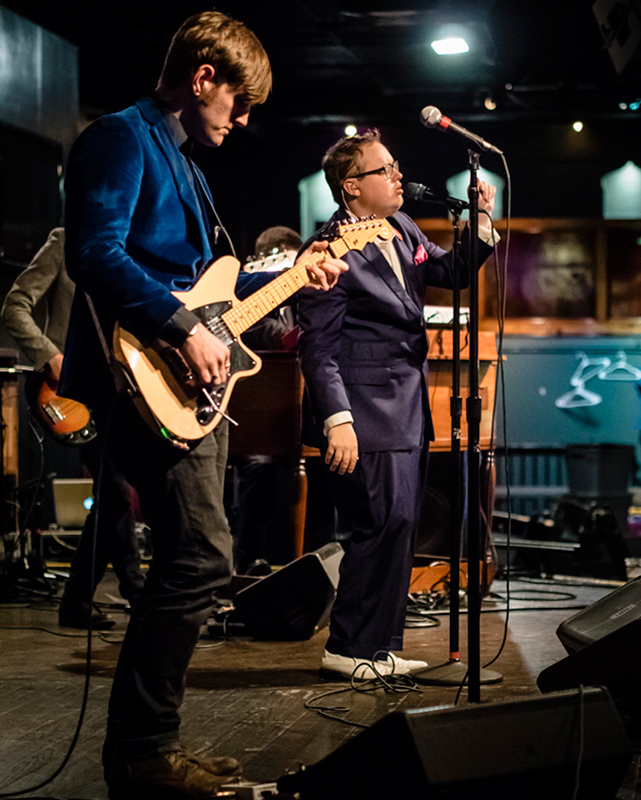 concert series, Stackpole and guests were treated to an intimate performance by St. Paul and the Broken Bones at The Paradise Rock Club in Boston. This band hailing from Birmingham, Alabama taught the Boston crowd precisely what Southern Soul is all about. Lead singer Paul Janeway grew up in gospel music, and its influences (along with touches of Marvin Gaye and Sam Cooke) were palpable throughout the soundcheck concert. Stackpole and 92.5 the River guests were left hollering for more songs from this exciting new band when it was all over. The Stackpole Listen Live! concert series is a unique event, blending traditional networking with an exclusive musical experience exposing guests to the newest, most up-and-coming on the music scene. Before the concert, guests enjoyed complimentary drinks and appetizers in the venue’s bar, and those who stuck around after the show were able to meet and get their photo taken with the band. The Stackpole team is looking forward to the next Listen Live! concert; details forthcoming. Email contact@stackpolepartners.com if you’d like to be invited to this exciting event!